Led by vegetarian Chef Bebee, Bamboo Bee is located just inside the old city's north gate. 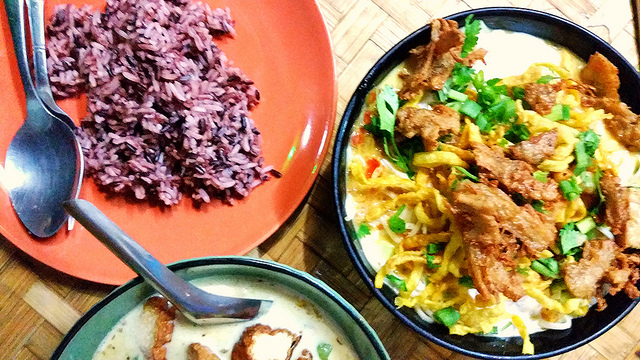 With healthy and large portions, Bebee serves up some of the best curry we've experienced in Thailand. She is also offers private cooking classes. Pumpkin curry. And green curry. Red is good too. Just don't leave without eating at least one of Bebee's curries.